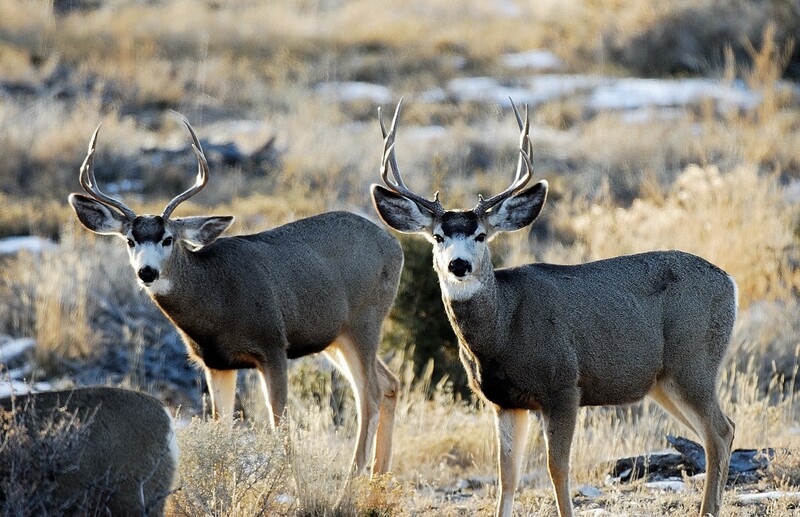 SOUTHERN UTAH — The Division of Wildlife Resources urges those who have a Utah rifle buck deer permit, but haven’t taken a buck yet, to not give up. Based on the number of deer brought through DWR check stations during the opening weekend of the hunt, the number of bucks in Utah is similar to, or higher, than it was in the fall of 2013.
the amount of fat the deer had on them—a vital factor in determining whether the remaining deer survive the upcoming winter—was really good. Jones’ experience was similar to the experience other DWR regional wildlife managers had during the opening weekend. On Saturday, the day the hunt opened, Jones assisted biologists at a check station in Nephi. The number of deer that came through the check station increased compared to the number recorded in 2013, where 13 deer were checked through the station compared to 22 this year. On opening day, most of the bucks hunters take are 1-year-old deer, also called yearlings. On opening day this year, less than 50 percent of the bucks at the Nephi check station were yearlings. The remainder included 2-year-old deer and three big bucks that were at least 3 years old. On Oct. 19, the second day of the hunt, Jones worked with biologists at a check station outside of Santaquin and said he was impressed by the amount of brisket fat he measured on the deer hunters had taken. Dax Mangus, regional wildlife manager in northeastern Utah, said two mild winters in northeastern Utah have led to good deer survival and more fawns being born. And that’s led to deer herds growing in that part of the state. Plenty of deer were checked at check stations in southwestern and south-central Utah, DWR Regional Wildlife Manager Teresa Griffin said. Most of the deer had plenty of fat. Griffin worked at a check station in Washington County on Sunday. She checked more mature 4-point deer than young spikes, Griffin said. On Saturday, while working in the northern part of the region, she helped check a deer that had a 30-inch antler spread. Taken on the Pine Valley unit (Unit 30), the big buck sported 9 points on one antler beam and 6 points on the other. “We’re working to confirm this, but we’ve also received reports that a buck with a 39-inch antler spread was taken on the Zion unit (Unit 29),” she said. 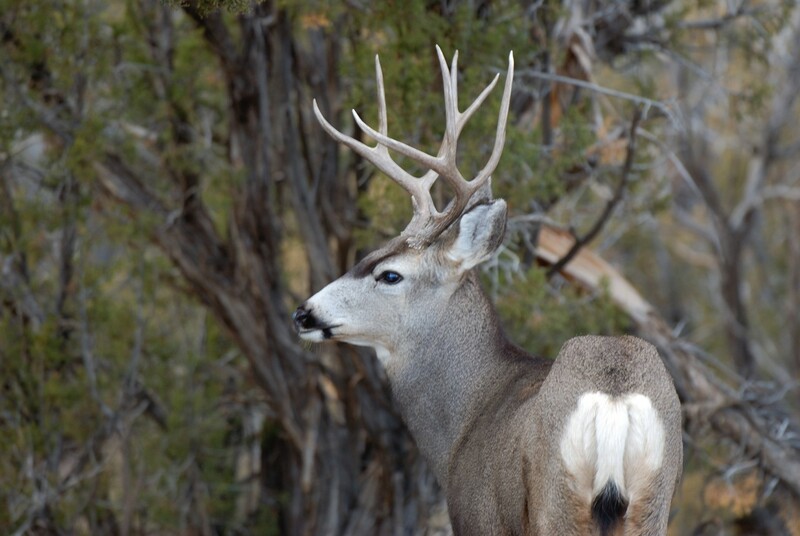 In southeastern and east-central Utah, wildlife manager Guy Wallace and assistant wildlife manager Brad Crompton said the number of deer checked was similar to, or higher than, it was last fall. At the check station in Wellington, Crompton checked 31 deer this year compared to 34 in 2013; but at the LaSal Junction station near the LaSal and Abajo Mountains, Wallace and biologist Dustin Mitchell checked 54 deer on the 2014 opening weekend compared to the 44 on the 2013 opening weekend. Of the deer checked at the LaSal Junction check station, 47 percent of the deer were 1-year-olds, Wallace said. The remaining 53 percent were 2 to 3 years of age. DWR biologists in northern Utah focused their opening weekend efforts on checking deer in the southern part of the region. Information for the northern part of the region will be available after hunter surveys are completed this winter. 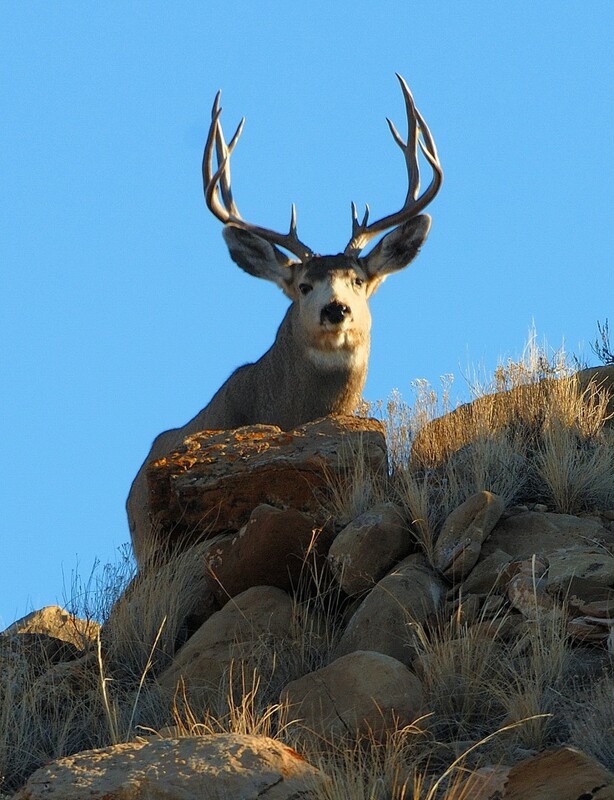 DWR Regional Wildlife Manager Randy Wood said it appears hunters on the Chalk Creek, East Canyon and Morgan-South Rich unit (Units 4/5/6) and the Kamas unit (Unit 7) took a higher percentage of mature bucks than they normally do. He also said deer checked at the stations had plenty of fat and were in good condition. The total number of deer that came through the stations was also up. For example, at Brown’s Canyon, a check point near Kamas, 10 deer were checked the last time the check point was held four or five years ago. In 2014, the number of deer checked at the station jumped to 30. At the rest stop at Mountain Green, a check point the DWR has ran for years, the number of deer checked jumped from between 60 to 70 deer on the 2013 opening weekend to almost 100 deer during the 2014 opening weekend. “We”? Oh you mean automobile drivers. I got it. Yeah, too many hit by cars. I agree. In Utah about 15% of people hunt now. During the archery season the average success rate is near 17~19%. Muzzleloader season is slightly lower due to number of participants, and the rifle hunt has a slightly higher 23~27% success ratio. Of course that’s depending on the unit (demographics or area of the state which you are permitted to hunt through a lottery system) which not to mention is conducted our side the state of Utah, since residents of Utah don’t gamble of course! So according to the “utah division of wildlife” own website these numbers are near the statistics hunters harvest deer. So approximately 1 out of 4 hunters harvest a deer annually. Far more are killed by people drivers cars than hunting. Perhaps we should cut back on the number of automobiles killing them. Would you give up driving? Sorry “Simone”. Not registered as a republican. Try again. I vote for the candidate, not the party. You should try it. THE DEAR THAT GET SQUISHED IN THE ROAD DON’T GO TO WASTE. THEY GET SENT TO A RENDERING PLANT TO BE TURNED INTO DOG FOOD. WOOF. I helped a neighbor skin his deer, I love these animals and cherish thier meat in my stew. But too many people hunt for sport and trophies, this is not the reasons I hunt or help those hunters. I respect the life given any respect that what’s given me. Who said anything about wether they got to waste or not? I guarantee that a lot more “Dear” go to waste being roadkill than being harvested by hunters.